This is not going to seem nearly as exciting via blog post as it actually is in person. 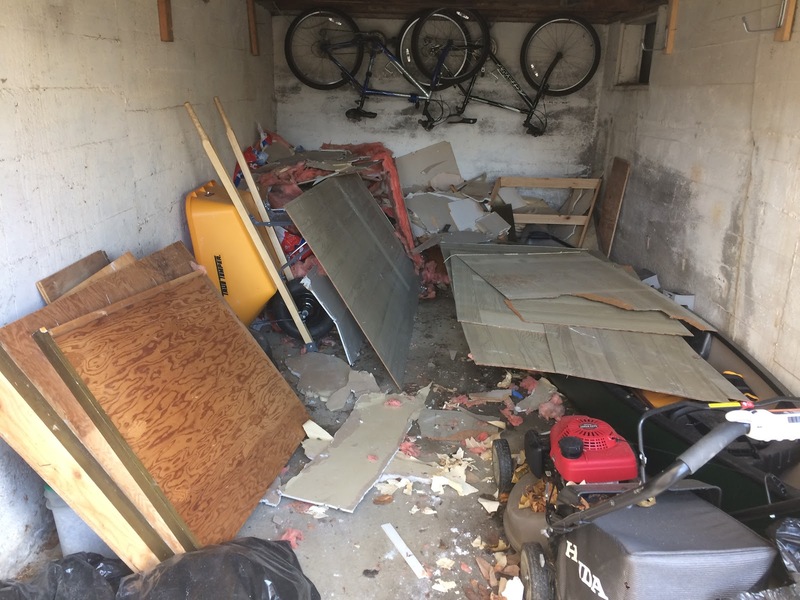 When we gutted the man cave room, it created a LOT of trash. On top of other trash that had accumulated from various projects around the house, and we hadn’t exactly kept on top of major dump runs. 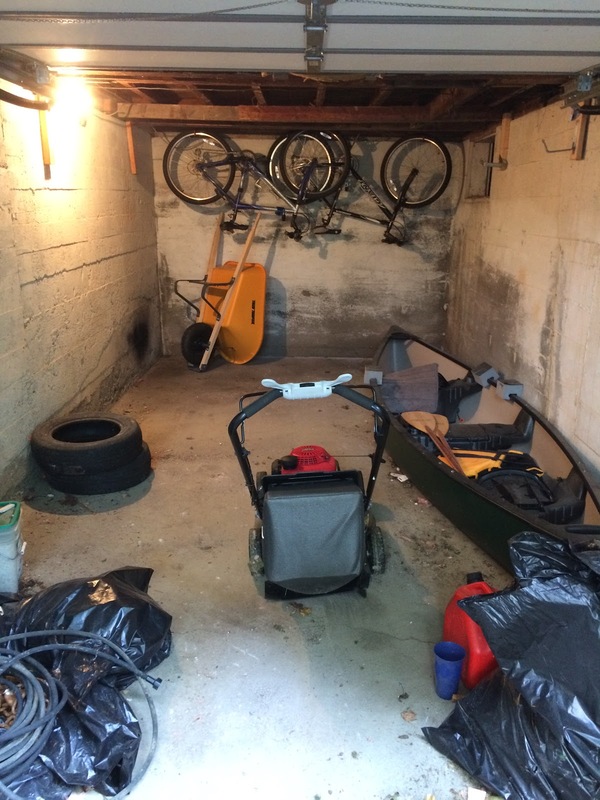 Through the winter (while the truck is parked, because it’s 2WD), we stashed it in the extra garage. It took four truckloads to finally get it all to the dump; keep in mind, my truck is a 3/4 ton with an 8′ bed. There was A LOT of trash. This photo was taken halfway through: so two loads down, two to go. And here it is, finished. The trash bags in the front contain asbestos tiles that we pulled out of another part of the house and carefully bagged up. They’ll go to hazardous waste disposal ASAP. In the meantime, they are double-bagged and sealed and we do not touch them. Tomorrow, we have a contractor coming to start what is probably the biggest of our summer projects: insulating & finishing off the basement.